Did your swimming pool pump stop working? We keep various swimming pool pumps in stock in Concord to better serve your needs. 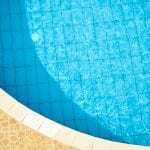 It can be a challenge to find replacement parts for your pool in Concord, North Carolina locally. Fortunately for you, we are here to help. Here at Cayman Pool & Spa, we keep a variety of swimming pool pumps in stock, so if your swimming pool pump suddenly stops working, you can quickly and easily get your pool up and running again. We can also come and service swimming pool pumps. They don’t always need to be replaced and sometimes, a simple clog removal or other minor repair will get your swimming pool pump up and running again. You can also arrange to have regular maintenance services with us, which will reduce the number of problems you have with your swimming pool pump or other pool parts in the long run. Beyond swimming pool pumps, we offer many other pool and hot tub supplies and services. We can install pool liners in different types of pools. We carry pool and hot tub covers as well as all the chemicals you need to keep your water balanced. To find out more, contact us today! At Cayman Pool & Spa, we sell swimming pool pumps to residents of Mooresville, Concord, Cornelius, Davidson, Harrisburg, Huntersville, Kannapolis, Statesville, Troutman, and the Lake Norman area of North Carolina.